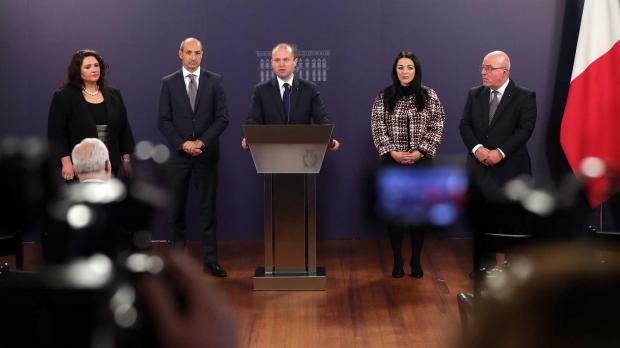 Malta wants to be the best UK-friendly country after Brexit, Prime Minister Joseph Muscat said on Wednesday as he outlined Malta's preparations in the event of the UK leaving the EU without a deal. He told a press conference that Malta regretted the UK's departure from the EU and hoped its withdrawal would not be without a deal. Malta agreed with the other EU member states that the exit deal agreed between the UK and the EU (and rejected by the House of Commons last week) should not be reopened. Malta agreed, however that the EU should be ready to offer clarifications to avoid a no-deal scenario. The agreed Brexit deal Dr Muscat, he said, was a balanced one providing peace of mind for businesses while respecting the principles laid by both sides, protecting the single market and ensuring that the Irish border backstop only came into force if there was no alternative. It also allowed a transitory period. The Malta government Cabinet on Tuesday discussed preparations in case there was a no deal Brexit, he noted. Around 13,000 Britons live in Malta, of whom 5,000 work here. A large number of Maltese also live in the UK and the Malta government had noted the UK’s safeguards for EU citizens living there. What will happen to British citizens in Malta? As far as possible, Malta wanted to see no change in the status and living conditions of Britons already living in Malta, the Prime Minister said. As agreed with the UK government, they would be required to apply for a residence permit. That permit would give them special status as citizens of a former EU country and their rights would continue to be retained. This residence permit will be valid for 10 years - longer than any other residence permits. It could then be renewed, and no charges would be imposed for the permit application. As a result, students will be able to continue to study in Malta, workers could continue to work here, and residents could continue to stay here. “You have nothing to worry about, even if there is a no-deal,” Dr Muscat said addressing British residents in Malta. Britons who come to live in Malta after Brexit would also have a 10-year residence permit, but in their case their rights would be equal to third-country nationals coming to Malta. “They will be charged residence fees currently applicable to non-EU nationals and, if they want to work, they need an employment licence," he said. In case of no-deal Brexit, Britons living here will continue to vote in local council elections, Dr Muscat added. This proviso already existed before Malta joined the EU. What Brexit arrangements will be made in the health sector? Dr Muscat said Malta also wanted to keep good relations with the UK in the health sector. While fewer Maltese now needed hospital treatment abroad, some needs remained, he said. The Malta-UK health agreement signed in 1975 would remain in place and the Medical Council would introduce a fast-track system to register professionals from the UK. Maltese doctors trained in the UK would be recognised according to existing arrangements. Malta and the UK also intended to mutually recognise each others’ doctors, he added. Dr Muscat said some stockpiling of UK-imported medicines had already been made, where appropriate according to shelf life. Alternative suppliers had also been identified. The Medicines Authority has held talks with importers to ensure there were no shortages or price increases. Some importers had taken proper action, while other woke up a bit too late, he noted. Will air travel provisions change? A drop in the value of the Sterling would make a holiday in Malta more expensive for Britons, Dr Muscat acknowledged, saying that the Tourism Minister was working to ensure that tourist arrival numbers were maintained. The government is considering introducing a preferential track for arrivals from Briton, along with EEA and EFTA countries. How will customs procedures change? In the event of a no-deal Brexit, customs would have to be imposed immediately on imports from the UK, Dr Muscat said. He was pleased with the preparations being made by the Customs Department. In case of a no-deal, Customs would have an additional 6,000 to 7,000 customs declarations to handle, ranging from packets with a value of over €22 right up to containers. Simulations showed Customs was ready for the challenge. He said the government was prepared to help exporters mitigate the additional costs of exporting to the UK. Dr Muscat said a Brexit helpline would be introduced in Malta and the UK as from next week and details will be issued in due course. Asked about Malta’s efforts to attract businesses from the UK to Malta, Dr Muscat said a number of companies had already opted for co-location. Dr Muscat said Malta had not targeted the large multinationals but instead relatively smaller companies of a few thousand employees. In particular Malta had targeted UK companies with mother companies in the US, India, and Japan. There would be a “steady flow” of businesses registering in Malta he said. Reacting to media reports that major gaming companies were eyeing a move to Malta, Dr Muscat would not get into specific names of companies but said the reports were true. Most market leaders in the sector were already in Malta, he said, and the feedback the government was receiving was “where will we base our offices” and “where will we send our children”. On this latter point, Dr Muscat said a call for a new international school in Mtarfa had already been issued. Asked for his position now that Malta would lose a major ally when it comes to its EU battle on tax harmonisation, Dr Muscat told Times of Malta that this would be an uphill struggle for the country. Like-minded member states needed to “man up” and speak out, he said. “I think the issue is that for too long many countries have relied on the UK to lead the fight on this issue and this cannot continue,” he said. Meanwhile, speaking in Parliament on Wednesday evening, Opposition leader Adrian Delia asked whether Malta was prepared for any scenario, including the possibility of the UK opting for another Brexit referendum. He also said that while the Opposition agreed with the Prime Minister on the living conditions of Britons in Malta, he wanted assurances that none of the proposed measures fell short of other EU laws. The government, he went on, should also ensure that those Maltese citizens living in the UK are given the same conditions offered to the Britons living in Malta. “The government should put pressure on the UK government to ensure that it provides Maltese living there the same 10-year window,” Dr Delia insisted. He also asked the government to ensure businesses have continuity.